Unless you drive or walk by the 301 Old San Francisco Road Sunnyvale Palo Alto Medical Foundation (PAMF) excavation site and physically observe the aggressive shoring currently proceeding forward, despite the CEQA PAMF EIR litigation Appeal, one would never grasp the intensity and scope of the project. Per the PAMF Respondent CEQA Appeal Brief by Trainor Fairbrook dated April 22, 2011, the site is described “The PAMF’s medical campus is separated from other residences by a large parking lot . . . ” conveying an image or perception of vast “buffered” space between the PAMF site and adjacent Single Family Low Density Residential Homes. 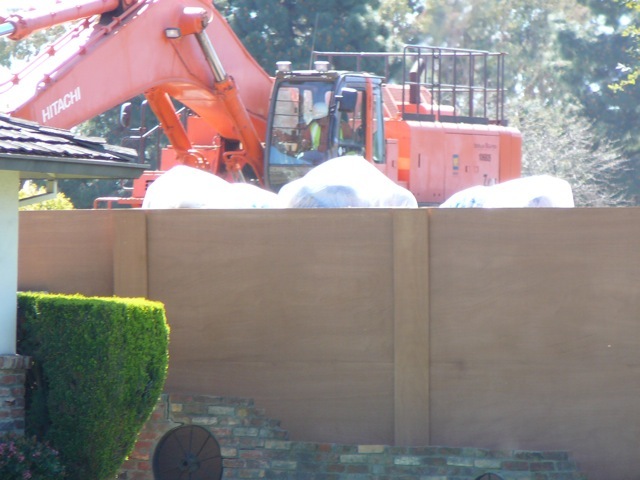 Just look how close this giant excavator is digging furiously immediately behind this Sunnyvale Jarvis Court Home. 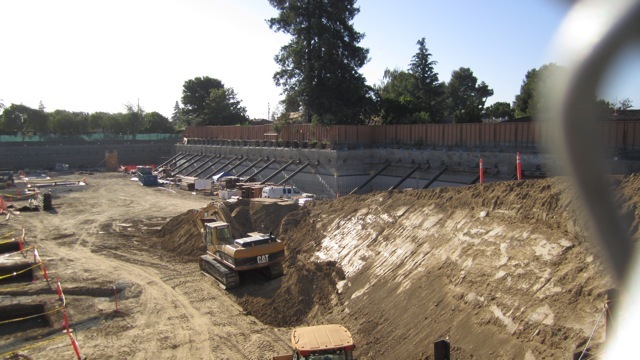 The excavation or Shoring Systems will be two levels below grade (25 feet) at the 301 Old San Francisco Sunnyvale PAMF site, just 10 feet from the adjacent residential lot line observed in the photo. Neighbors have stated that the vibration feels like continuous earthquakes. The walls shake, they fear damage and items falling from their walls while nerves remain shaken. 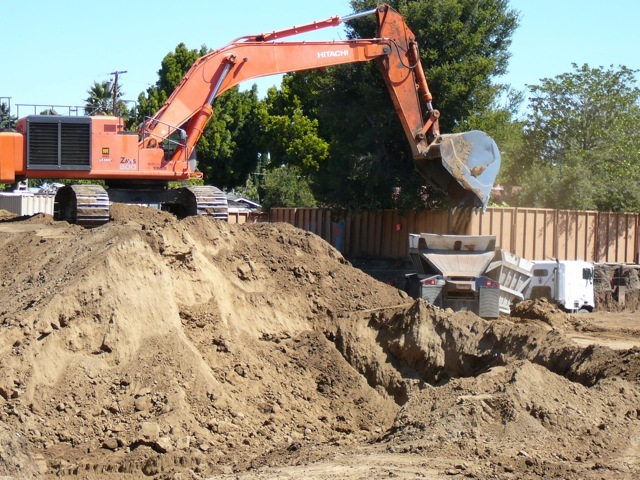 The PAMF DEIR/FEIR was required by CEQA to explore mitigation measures to reduce the loud noise to a level compliant with the City of Sunnyvale Noise Ordinance. 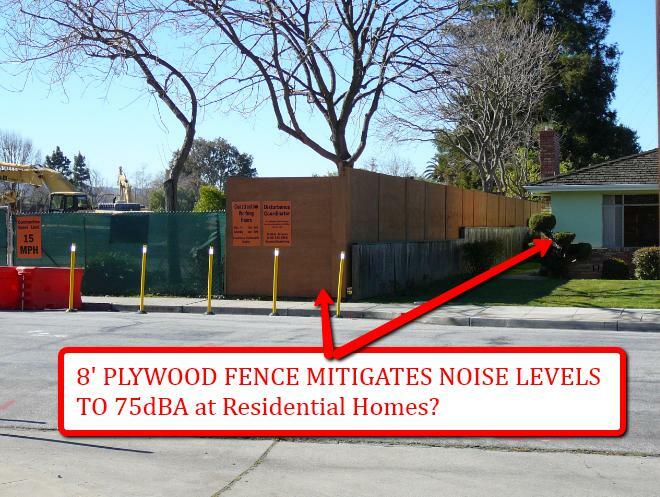 According to the PAMF DEIR Noise Impact Analysis, page 89, the Demolition and Site Preparation Noise Levels will reach 75 at Jarvis Court and 70 at Bayview which exceeds acceptable standards, according to the City of Sunnyvale Noise Ordinance. The PAMF project construction noise is estimated to be two and ½ years at an estimated project cost of $120M or $190M (PAMF versus the City of Sunnyvale estimates). 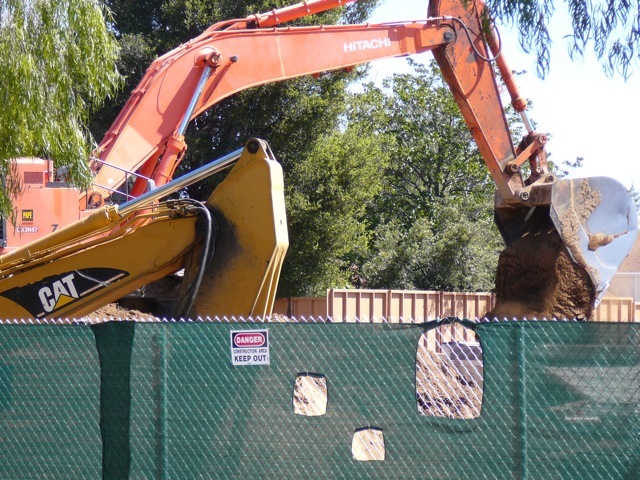 Despite the Sunnyvale Palo Alto Medical Foundation (PAMF) Environmental Impact Report (EIR) CEQA Legal Dispute, Building Permit Plans have been submitted to the City of Sunnyvale to begin demolition and excavation in February.